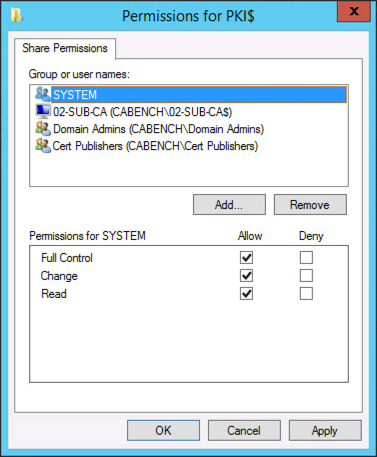 In Part One we deployed our offline Root CA Server, now we are going to deploy a ‘Certificate Revocation Location’ server. 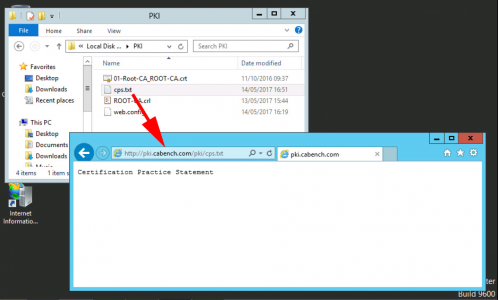 Create a DNS record for ‘pki‘ that points to the IP address, that you will have the CRL web server hosted on. 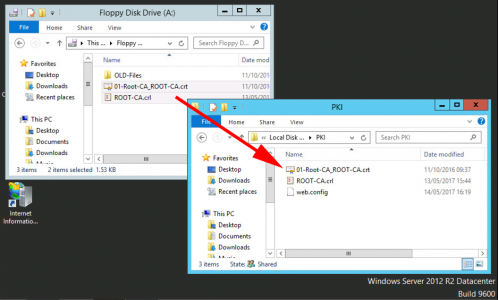 I’m installing my CRL server on a separate web server because thats good practice. 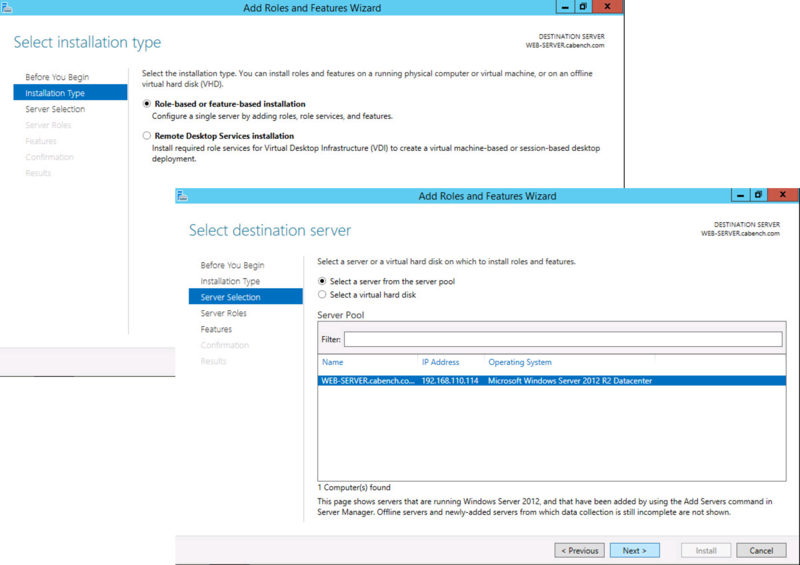 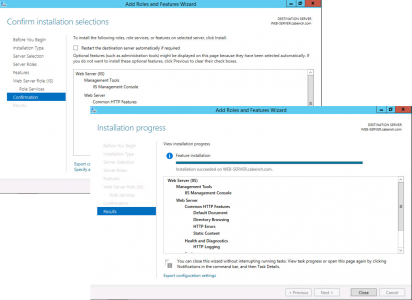 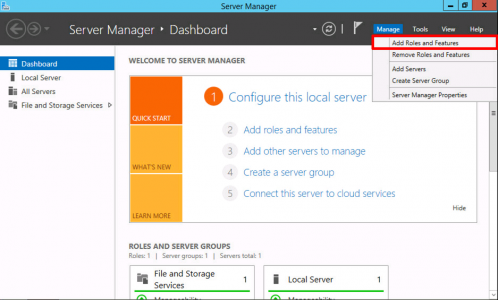 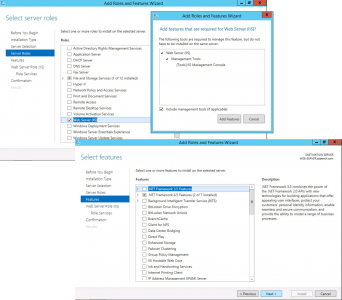 Starting with a domain joined member server, launch Server Manager > Manage > Add Roles and Features. Role Based > Next > Select the Local Server > Next. 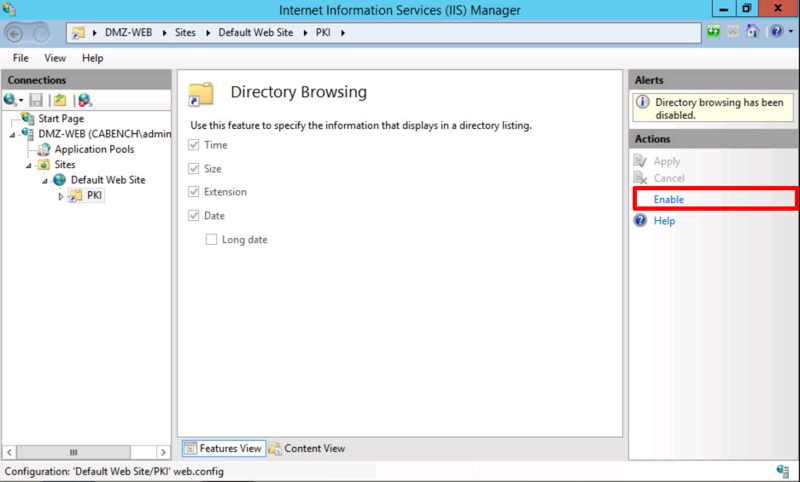 Select Web Server IIS > Add Features > Next > Next. Next > No additional features are required > Next. 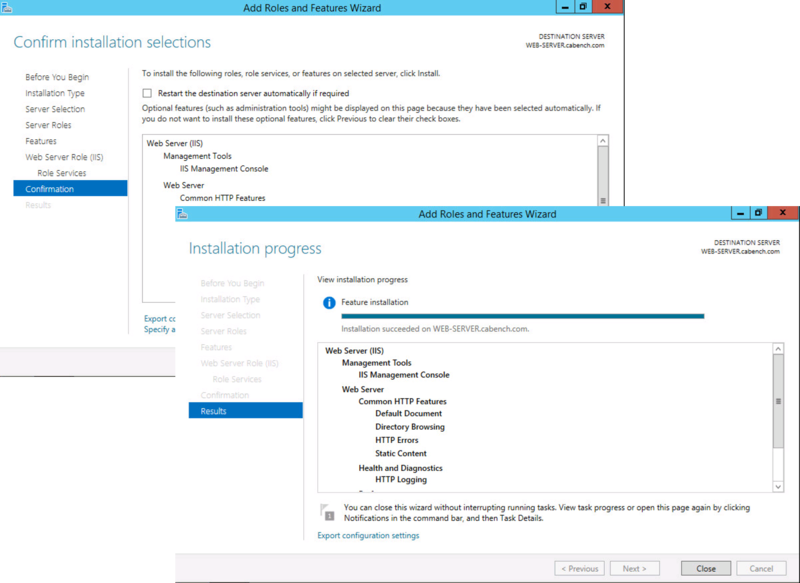 Next > Install > Close. 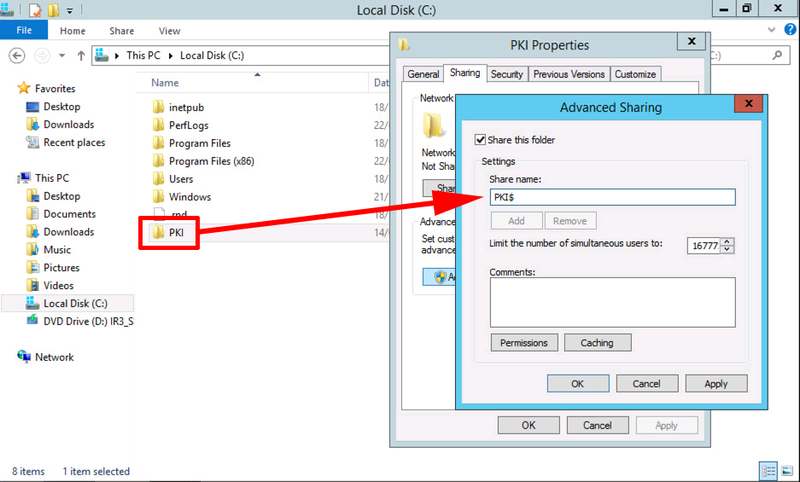 Create a Folder called PKI on the Root of your web server and share it as PKI$ (The dollar denotes hidden share). 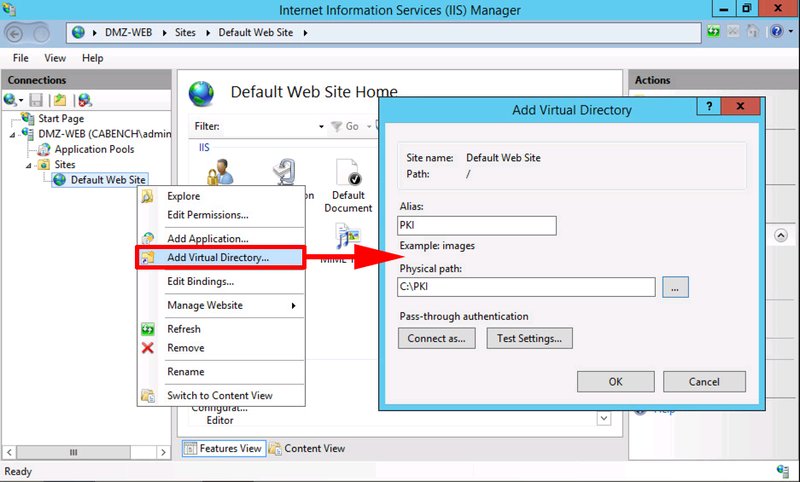 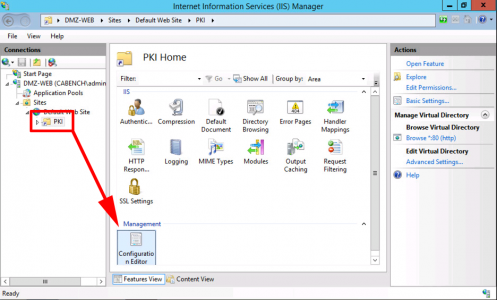 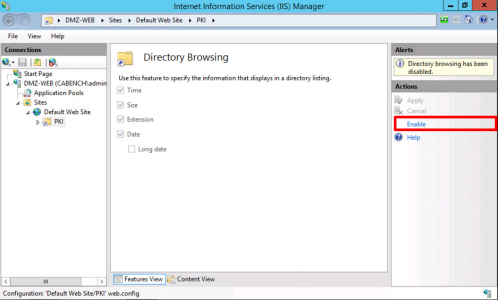 Launch Internet Information Services (IIS) > Server-name > Sites > Default Web Site > Add Virtual Directory. Select your new PKI directory > Edit Permissions. 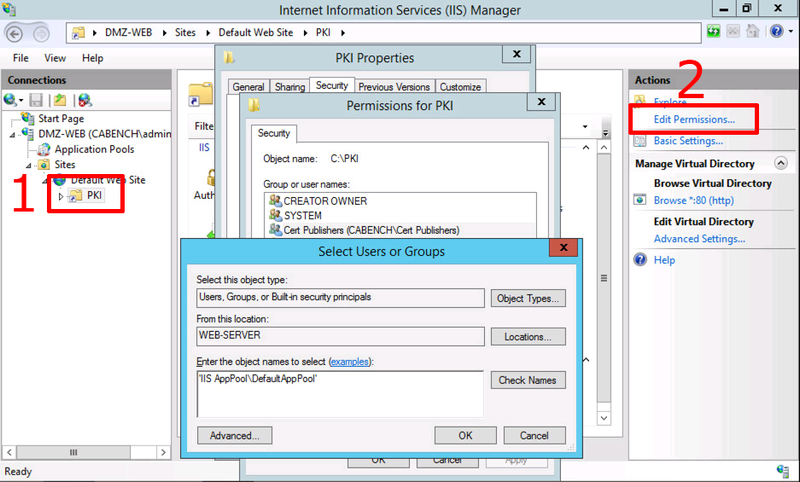 Note: You cannot browse to DefaultAppPool > Change the source to local computer-name > type in the username ‘IIS AppPool\DefaultAppPool’. 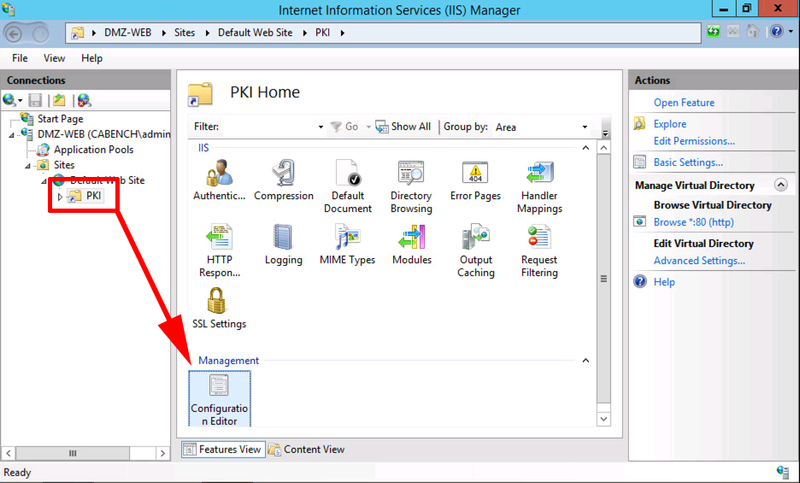 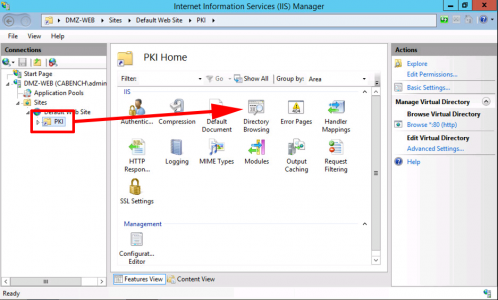 For your PKI Virtual Directory select ‘Configuration Editor’. 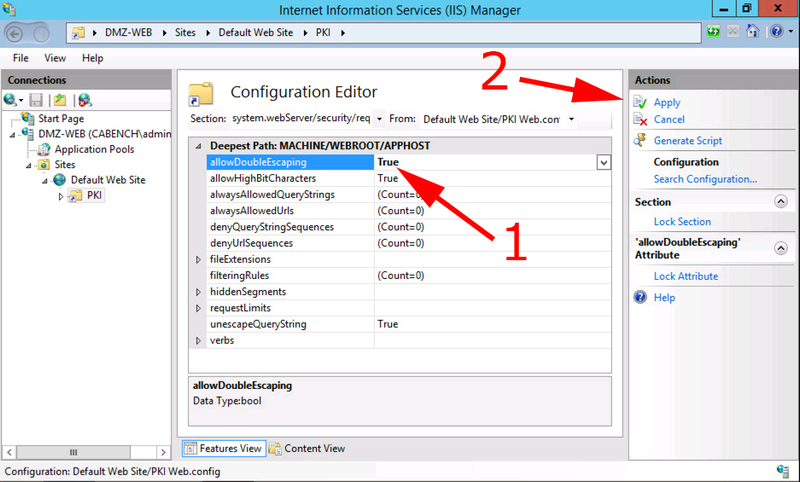 System.webServer > Security > requestFiltering > allowDoubleEscaping > Change to ‘True’ > Apply. When you setup your CA Servers in the CAPolicy.inf file theres a section of the ‘Legal Policy Statement’ and the URL I used points to this server as well, (it was http://pki.cabench.com/pki/cps.txt). So create the cps.txt file in the same directory. To decide what text will go in the file, read RFC 7382. 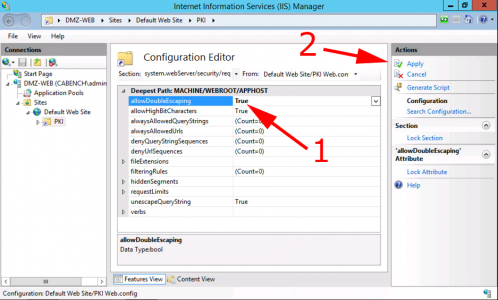 The next most logical step depends on whether you are building a two tier, or three tier PKI environment. If it’s a three tier, then you are going to deploy your Intermediate Sub CA server next. 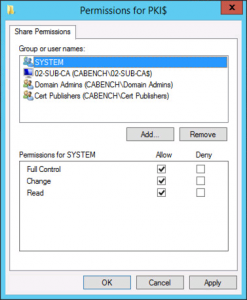 If it’s a two tier then you are going to deploy your Issuing CA next.